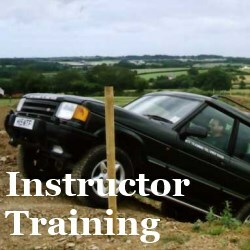 Off-Road Driving Instructor courses are available to individuals who either wish to develop and exploit their skills to the full, or to commercial organisations who have a requirement to provide their own future training programmes through in-house training. 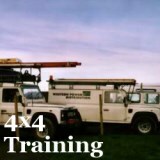 Drivers who wish to attend this course must have significant off-road driving experience or have completed one of our other off-road driver training courses. 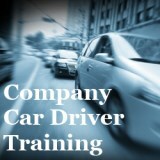 This course concentrates equally on the further development of driving skills and the ability to successfully impart skills and knowledge to others..
Role play is used during the classroom session to introduce the trainee to the role of instructor. 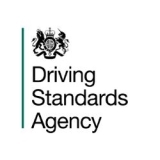 During this session the course instructor will play the role of trainee and use questions to assess the trainees level of understanding of the relevant subjects. Any required improvements are worked on before the trainee applies his or her instructional skills to the practical part of the course. Demonstration: Conveying the message, using visual aids such as models and diagrams. 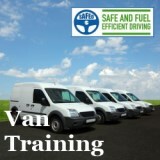 Practice: Allow the trainee to practice their skills under guidance. Use question and answer techniques along with silent observation to ensure that all you teach is fully understood. 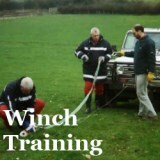 The high priority we apply to the required standards being attained means that only when instructor trainees have demonstrated their knowledge of teaching practices, driving abilities, and a present a thorough understanding of the theory aspects of off-road driving as a whole, is a certificate presented.